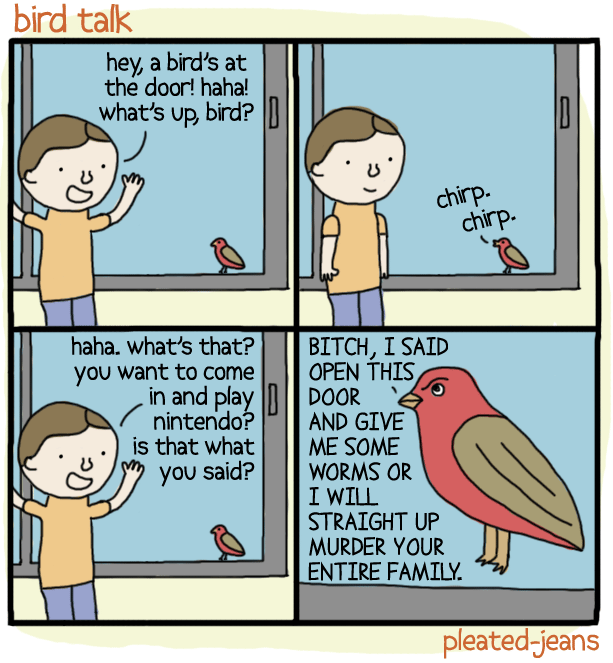 Birds are assholes. Pleated-jeans.com knows what they’re talking about. There have been a slew of parodies to the ‘Gangnam Style’ music video by PSY, but this one is probably the best. Nay…it IS the best. 2. How’s Your Day Going? Oh, geez. Don’t you hate that? Now I’ll never get the image of me tripping over a kickball at recess out of my head. Thanks, toothpastefordinner. The worst is coming, my brothers. 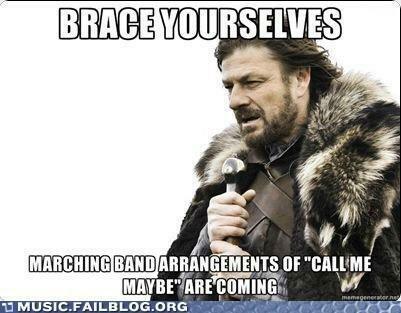 Prepare thine ears for the assault.